An ancient Italian tradition reworked with modern concept to enrich, heat-up and make unique, the space that surrounds you. Precious custom made and removable LEATHER TILES, designed to create your enviroment at your own style. 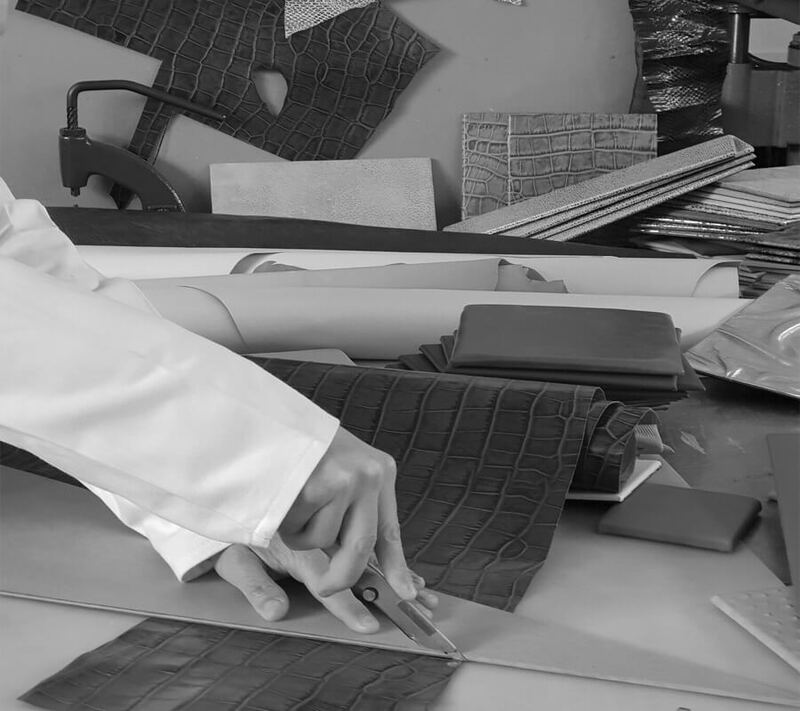 TILEELIT was born from our passion for leather. We have combined our know-how, creativity and immagination to create skins that are finished, enriched with drawings and precious accessories and made perfect for interior design. TILEELIT has a range of colours, patterns and sizes to suit your interiors and, our customised design makes service is available for corporate, nautical, and domestic applications where a personalised design is requested. TILEELIT provides own special leather tiles as singles pieces or in ready panels depending the necessities or final use. Components used in the tile preparation may change depending the application location. Selected material will be used for Hotel interiors, yachts, windows-shops and public locations. TILEELIT also offers valid options for residencial and hotel halls restyling projects, as well as for boats and yachts refitting. Personalised composition can be created for wall decorations, any type of customized boiserie and for furniture decorations.